After filling the water tanks and collecting the docklines we were off at 0830. 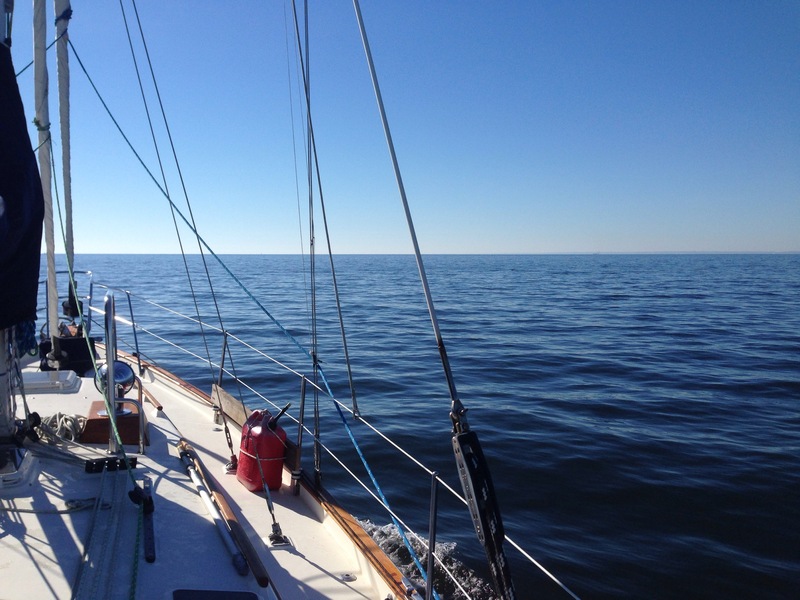 A very quiet trip down the bay and so far all boat systems are good. This is our computer navigation program by Rose Point Navigation. 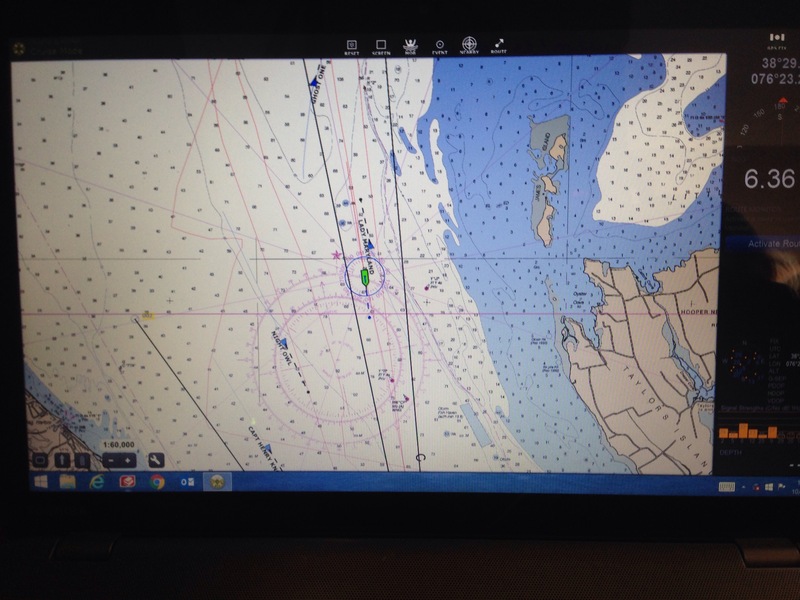 It shows where we are using GPS and the boats around us using AIS. You can see we are passing Taylor’s Island and that Lady Maryland just went by Northbound. 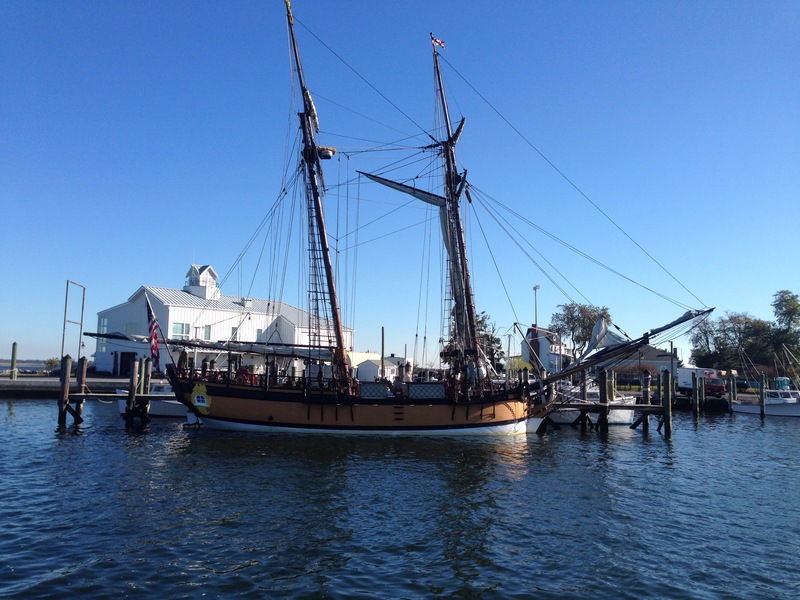 Arriving at Solomons, MD and found Sultana at the dock. 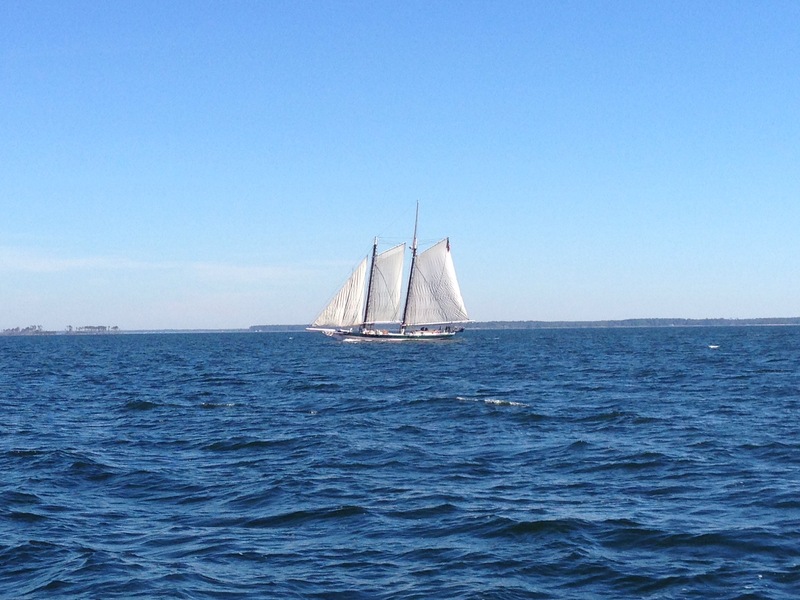 She is a small tall ship from Chestertown. Went ashore and rode bikes to CVS for some cold supplies for Tina, then dinner at the CD Cafe. 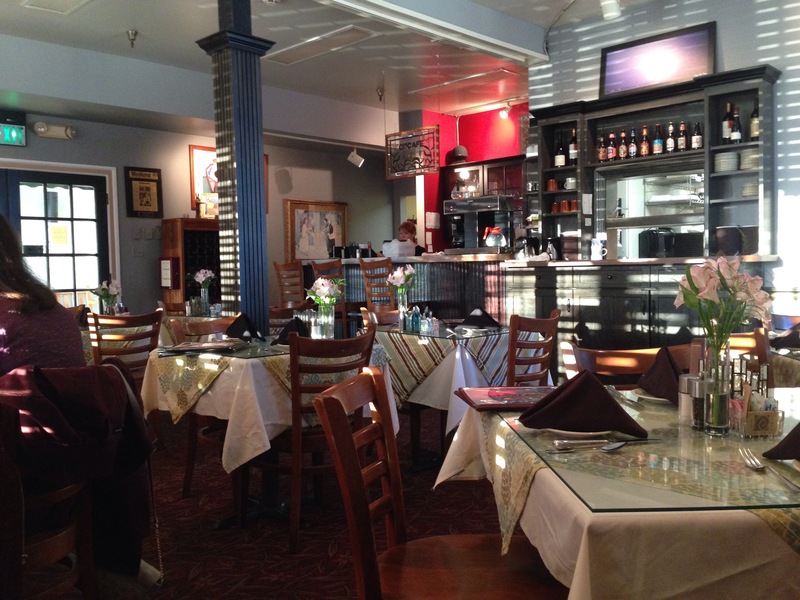 This is one of our favorite restaurants. A great dinner with bourbon pecan pie a la mode for desert. A super start to our trip. We enjoy it toooo. Katy’s co-PE teacher Joe works there on Friday nights.